A lot of our work in Carrara relies upon us being able to work on images in 2D, whether creating textures or backdrops or touching up after a render. So I think it's beneficial for us to communicate to each other what different tools are available out there - especially really cool stuff that isn't overly advertised - software that we don't see upfront unless somebody tells us about it. I was originally going to put this in the Free Software that Makes Life Easier thread, until I've found out that the non-pro Studio version is now very inexpensive rather than free. But I still wanted to share this cool software with you so, what the hey... why not start a new thread on a topic that we can all share our ideas on, right? It's no secret that I have found my comfort zone in image (and animated video clip) editing completely in Project Dogwaffle Howler. The funny thing is that it was their team whom has turned me onto this really cool software! TheBest3D dot com is very outgoing in turning on their community to any tools that may be helpful in their endeavors, which is, in my honest opinion, the best way to run an ongoing art community. While I totally understand the move to no longer allow links to competing product's web pages (I really do), I still liked it a lot better when we were free to just share links to better help us convey our artistic thoughts - but it's not that big of a deal, now that internet navigation has become so incredibly simple and powerful. Yeah, no doubt many of you already have coughed up the cash for the big dog on the block, and likely for really good reasons. For me Photoshop is overkill both in function and in cost. True, you get what you pay for. PS is constantly being developed to maintain being the top of the food chain. It was when I've discovered that the watered down "Elements" version, which is more in my price range, doesn't have the few tools that I really need PS for, I decided to start looking at other apps - and I'm glad that I did. No, I don't want to turn this thing into a "Down with PS" thread, nor do I feel in any way that PS is not worth its price, I just wanted to see if I could find tools that are much more affordable that DO contain the tools that I need. I remembered that this seemed to be sort of like a Photoshop-like software with a bit more of an artsy twist. After looking into it further, I saw something spectacular in the difference between the Artist version and the Pro: Howler version - animation features. 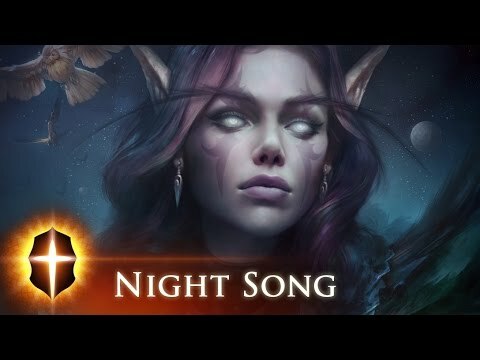 So I looked deeper, contacted the author and asked questions. The only option left was to buy it. By that point I was fairly convinced that I was on the right track, so I bought the big boy... I bought the then latest version of Howler! It took me a while to get used to it but, in the end, I was right all along. Howler is now my goto app for all image/video clip editing. I still have other apps, and occasionally use them, but Howler has become the workhorse in my imaging production. Now it even has several 3D elements included as well, along with its very own ray tracer: Puppy Ray! I have a thread dedicated to Howler Here where we discuss anything and everything from "this is so cool" to "How do I" to news related to the happenings of the company and software. But that's not what I've come in here to talk about. That's all the prelude. You see, in all of that learning I've accidentally set aside some of my other apps that I've picked up while looking for software that could keep me from having to cough up a lot of cash for software that's developed for too many aspects that don't relate to my workflow needs. When I bought Howler, I also bought something that no longer exists: The CoolCreativeBundle, which included stuff like Twisted Brush Pro Studio, Dynamic Auto-Painter, and Genetica Basic along with some cool modelers like Curvy 3D and Archipelis Designer, and then a nice plugin set for Dogwaffle: AnyFX for Project Dogwaffle and plugin Texture Anarchy for Photoshop, which is the only thing in the whole bundle I cannot use since it's only for Photoshop. The bundle was also rounded out with a wonderful music collection by DJ d'Artagnan - aka John Somnitz! So now that I've pretty much conquered my normal flow for working in Howler I'm feeling more freed up to explore these other great tools I've bought. Also worth note is that, even though the CoolCreativeBundle is no longer available, TheBest3d dot com still has links to the products which used to belong to it - those I've just mentioned. That bundle had a really suiting name, because the stuff that came within is Very Cool and all of it is still being developed by their authors. Great tools at fantastic prices! So here I am, where I wanted to start this whole thing. But I did kind of feel an obligation to admit why such a thread had a place here amongst the Carrara Discussion Forum. As I get into these things I'll try and come in here and report about them. It's fun having tools! Have you ever wanted to have a digital sketchbook? Twisted Brush is a powerful digital painting program which always automatically saves your work to your sketchbook upon close. You can have as many books with as many pages as you want - you just do your thing. It has some noteworthy features that make it really cool! First of all, it has a really nice Quick Start guide which opens with the program until you check the box telling it not to - which you can right away because this useful, fully illustrated window is easily opened at various locations of the interface, and is a very handy, easy-to-navigate instructions booklet - very nice touch by the author! 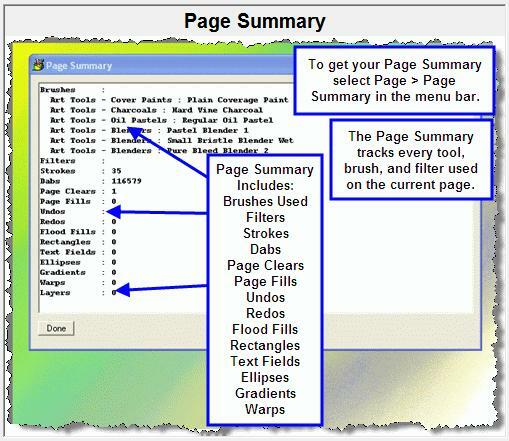 Twisted Brush, like most "Paint" style programs, has some unique ways of dealing with using your mouse or tablet as a paint brush, pencil, charcoal, etc., so it's really handy to have such an easy to read and follow, easy to navigate help item at your fingertips. Arrows, illustrations and text instruct, and the scrolling Index of topic is at the left, in an order that just makes perfect sense. 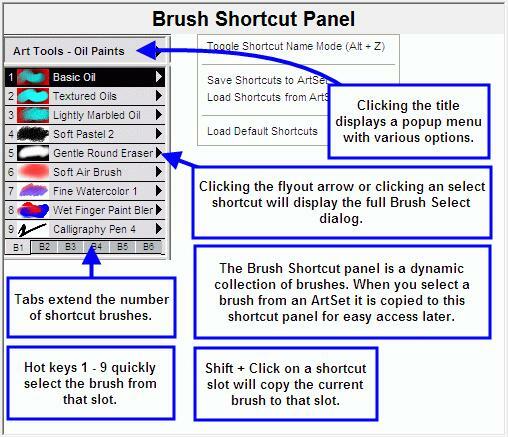 Brushes are accessed via a handy Brush Shortcuts menu, which is easily customized at any time - even all of the time and has "Batches" buttons below the main group so we get a lot of shortcuts in a nice, small space, yet is really easy to use. It's actually quite well thought out. Just below the shortcuts are the brush configuration settings and then color pallets, sliders, mixing and then layers. Something that's strange for me to get used to is that right-clicking doesn't use a second color, but instead opens a panel for more brush tweaking. Pretty neat! The "Sketchbook" idea is really pretty cool. I've never been a fan of Auto-saves. But this one is different. Yes, it can be turned off entirely. But the saves are very unobtrusive. It makes it convenient to use this tool for just scratching down thoughts on a page. Finish them as much or as little as you choose. Flipping through pages and switching from book to book is super simple. A different way to work making this an entirely different tool for me. I can use this as my sketch pad for jotting down my thoughts on things that come to mind. It doesn't matter how far I get or how much time I have, because even though I can save (export) any image out as any of the more popular image file formats, like jpg, tga, png, bmp, etc., I never really have to unless I choose to. Otherwise, just open the program (which loads very quickly), flip the page and jot down my ideas, or continue on with another, and if I have to leave and shut this down, nothing is lost because it auto saves to its own loss less format very quickly upon closing the program. It's super easy to clear the image if you don't like it being saved. It's my book, I get to decide what to keep and what not to. Let's say I look back on an image I've sketched a while back, before I reconfigured my brush shortcuts, and wanted to remember which brushes I used. Twisted Brush has a nice little feature called the Page Summary, which will give the details about which brushes, tools and settings were used to create the image. Pretty neat! 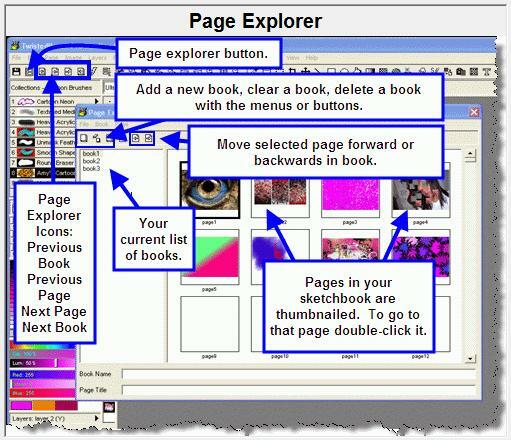 The Page Explorer then allows the sorting of pages within a book, create new books, delete pages, delete books... it shows a nice thumbnail of every page within each book as you explore. 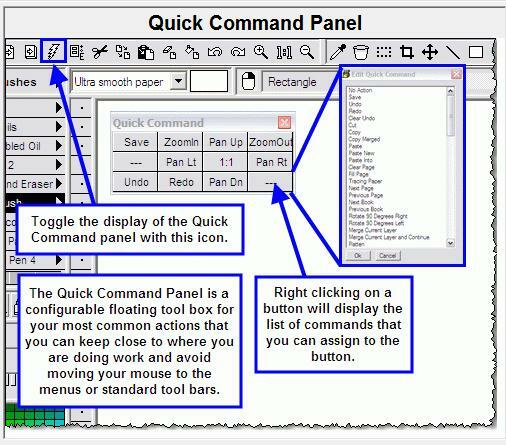 There's also a handy device, which reminded me of one of Head Wax's requests to Fenric - it's a nice little console called the Quick Command Panel, which is a small window which can be activated and placed anywhere on the screen where it's convenient, and can be loaded (configured) with the user's most often needed commands in the form of a point-and-click shortcut! There are a lot of bells and whistles that make this little painter unique and a worthy addition to anyone's workflow - I only pointed out a few that really caught my eye on first use of the program. It's certainly worth taking a look! In early 2003 software engineer and artist, Ken Carlino, disillusioned with the current graphic software that was available set out to create a digital pastel program for his personal use. 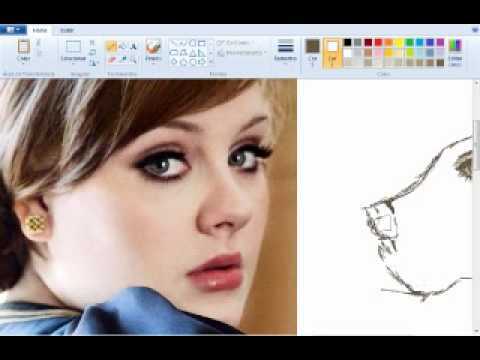 Upon completing the first private version of this program it was obvious that the underlying brush engine was something special and unique in the field of digital art. It was then decided to widen the scope of the program to cover the range of natural artist media and make it available for sale. Pixarra was founded in July of 2003 by Ken Carlino as a privately owned software company with a goal to create digital art tools that are both fun and easy to use and to leverage the power of technology to remain agile and profitable company every year. 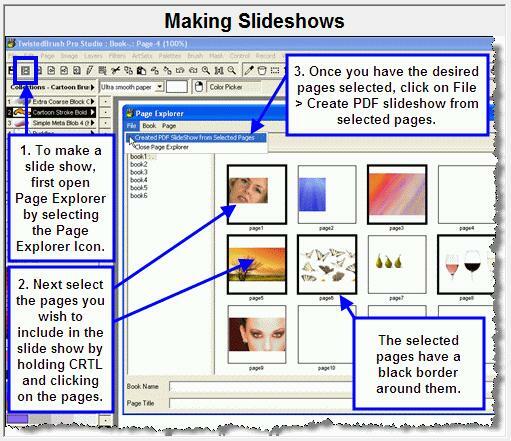 The first product offering was Pixarra Sketchbook 1.0. and was sold with a lifetime license for the early adopters. 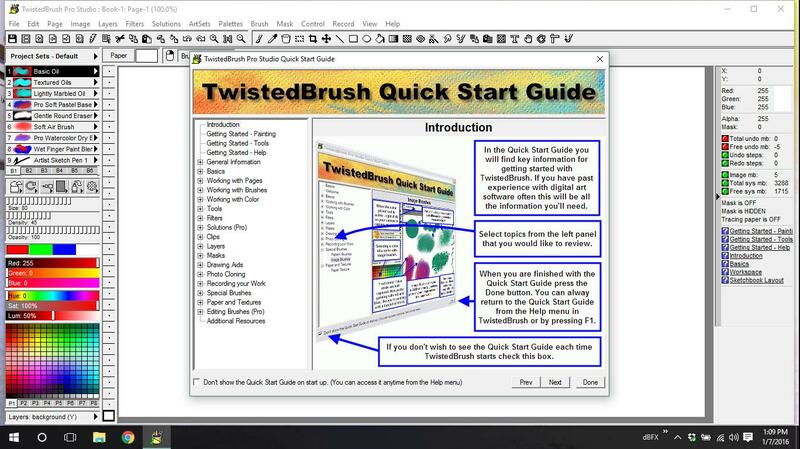 Over the next 5 years Pixarra Sketchbook was renamed to TwistedBrush and later to TwistedBrush Pro Studio. 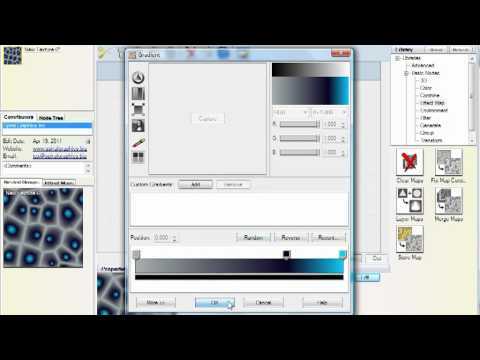 With the introduction of the Brush Effects system in version 2.3, the brush engine in TwistedBrush became arguably the most powerful and versatile digital paint system in existence. Add in the general image editing and photo editing features and TwistedBrush has become a well rounded digital art powerhouse. In 2009 Pixarra was incorporated and became Pixarra Inc. The focus and mission remains the same and the flagship product of TwistedBrush Pro Studio continues to carry the company forward. Ownership of Pixarra Inc remains with Ken Carlino whom is both President and CEO, and on a daily basis digs in at the lowest level editing code. Today TwistedBrush Pro Studio continues to receive aggressive updates and improvements both as refinements to existing features and introducing new way to create art and edit images of all types. Twisted Brush users also benefit from having a website that is incredibly supportive by the author for the community, which is HUGE! The above video does a great job of showing how you'll work in Genetica to make seamlessly tiling textures. 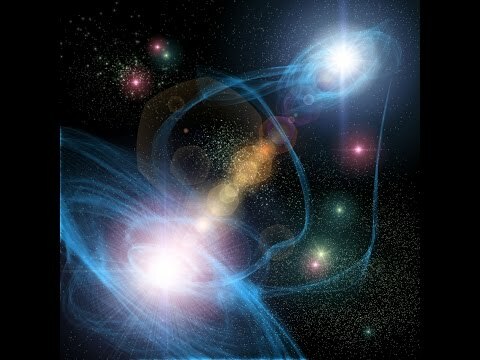 It's amazing how powerful this node-based image creation process can be with practice. Until we get the hang of things there is an immense amount of presets included that can be edited or used as is. thanks Dart, that's very informative! Thank You for creating that awesome Free Software that Makes Life Easier thread! That's where I wanted to post this. I love that thread - it's so cool to just start at the beginning at browse at all of the amazing free and/or semi-free software that's in there! Twisted Brush does offer a free trial, even an extended trial, but just about everything has a free trial these days. But with you and 3DAGE bringing up Exposure X and Snap Paint in the renders thread, I got inspired to install and play with some of these other tools that I've had all along, but haven't yet explored. DAP is really Really cool - can't wait to get the S/N for that to get rid of that watermark. Then I'll show that as well - cause it's really neat! Curvy 3D and Archipelis Designer are both modelers that are really sweet. Both of them have a really diferrent way of allowing us to create 3D objects, which is always useful stuff to have. Curvy lets us take a drawing approach, working with strokes within the workspace, where Archipelis Designer allows us to use images like photos and such and we draw the mesh according to lines on the image, and it generates the mesh with the image applied as a texture. I've barely ever scratched the surface with Curvy and have never tried Archipelis Designer yet. When I loaded up Twisted Brush for the first time, I was amazed at this thing. First launch fires up that Quick Start booklet which is just really nice - so I went through quite a bit of that just to soak in the author's intention of workflow, and think that anybody into a life that would benefit from having a quick and simple way to just paint or draw - even doing so editing an image or whatever, and just 'close the book' when your done. Awesome! That's the way I draw too. Almost the same exact procedure, but slightly different tool selection. MS Paint in Windows 95 is what drew me into using computers in the first place. Plotting facial portraits using x and y coordinates in Basic on the Apple II is what drove me away from computers in the 80s after first making a pretty cool screen saver of faces, dragons and landscapes to encourage fellow classmates. Shortly after came the art pad, but I was out by then. I got a printer for that first computer with Win95 that came with MS PictureIt free version, which introduced me to all manner of other tools. I was really getting into that when that friend I've mentioned above gave me that copy of Sierra PaintShop Pro. I still have that disc. Well... I still have all of the software I've ever acquired, even the DOS and Windows 3.5 (3.5" Floppies), Win 95, Win98, WinME, WinXP Pro and now Win7 dics and all of the free software trials. PaintShop Pro, having layers, really got me into making digital art. I think it was more the idea of making the art than the actual finished product that I liked most. Project Dogwaffle seems like it was invented for someone like me. Yeah... it took me some getting used to, but that's because I was already used to a more PC-esque way of doing things... heavy use of layers and layer blending. Dogwaffle has layers, but I never use them. Watching Phillip Staiger's fun tutorials introduced new techniques and ideas about how to work within the Dogwaffle family, and I do like that a lot better. It's more like doing the real thing, to me. Rather than generating a "canned" effects as a lot of the various filters in image editing apps offer, PhotoPainter can generate brush strokes interactively over a base image. Its kind of like Carrara's NPR renderer, but I think it gives a lot more options. Still have to give it a try myself. Very cool! It reminds me a lot of one of the apps I'm trying to review, but I'm having a dickens of a time trying to get a code from them!